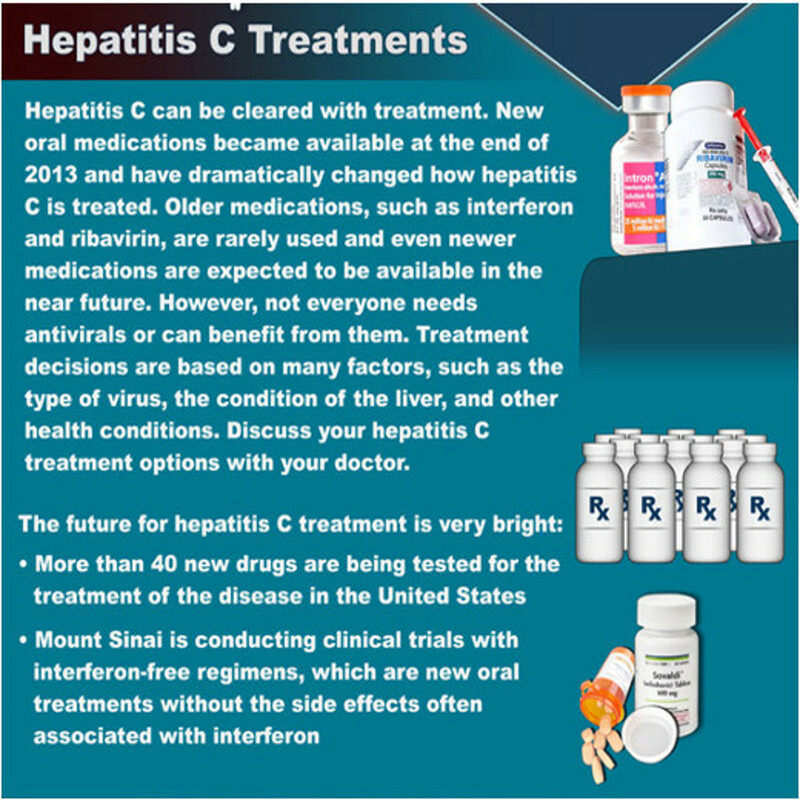 An innovative project of Mount Sinai Medical Center in New York CITY, HepCure is improving provider knowledge & patient engagement for chronic disease management in persons infected with the Hepatitis C Virus (HCV). The project is designed to address barriers for the effective care and treatment of HCV by providing web-based and smartphone enabled resources, navigation, consultation, and support for both patients and providers. The HepCure project draws upon the experience base that has been developed at the Mount Sinai Liver Diseases Outpatient Hepatology Program, the Mount Sinai HCV Primary Care Liver Clinic (funded by the NYS AIDS Institute), and the Informatics for Research, Outcomes, and Quality (I-ROQ) initiative in the Icahn School of Medicine's Division of Gastroenterology. The purpose of the HepCure project is to develop, pilot and scale-up a state-of-the-art statewide telemedicine and distance learning online portal and a complimentary patient smartphone mobile application. Use of the portal and app will be free of charge to both patients and providers. Starting with New York State, the aims of this collaborative portal are: 1) improve access to quality health care for New Yorkers with HCV; 2) build the capacity of PCPs to screen, evaluate and treat patients with HCV infection; and 3) provide online guided navigation to patients with HCV. This project will focus on providing outreach to at-risk communities, training PCPs in rural areas through tele-mentoring, and improving treatment evaluations and strategies for patients with HCV. We are a partnership between an academic medical center (Icahn School of Medicine at Mount Sinai), the NYS Department of Health AIDS Institute and the leading NYS primary care association (Community Health Care Association of NYS – CHCANYS). The primary funding for HepCure comes from the New York State Health Foundation, with additional support from Merck Foundation, Boehringer Ingelheim Pharmaceuticals, Inc., and Gilead Sciences, Inc.
HepCure is a partnership formed between an academic medical center (Icahn School of Medicine at Mount Sinai), the NYS Department of Health AIDS Institute, and the leading NYS primary care association (Community Health Care Association of NYS – CHCANYS). 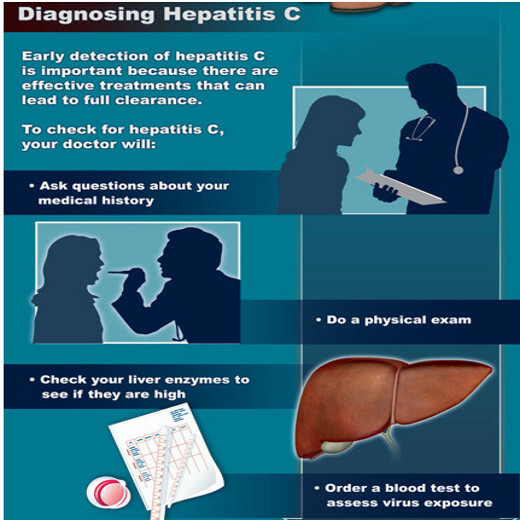 CHCANYS has recently concluded a collaborative demonstration pilot project in partnership with the NYS DOH AIDS Institute to increase capacity within federally qualified health centers (FQHCs) to expand and improve HCV prevention, screening, diagnosis, and linkage to treatment using a tele-consultation model. 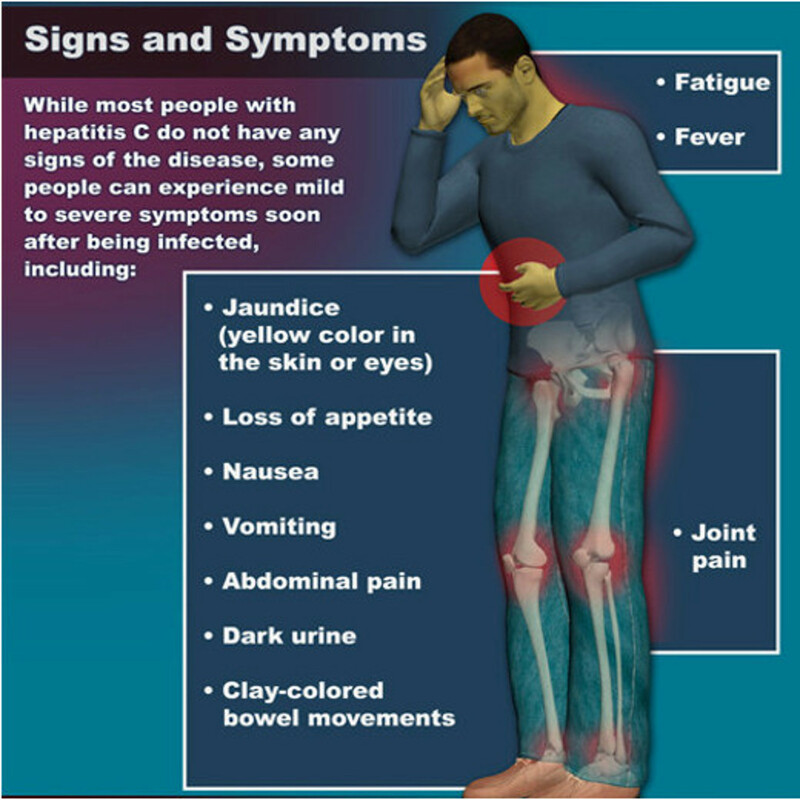 The HepCure project will collaborate with, and build upon, the work that has been done in this demonstration project to increase access and quality of HCV services for patients at FQHCs, with expansion of the project to other institutions shortly after. An Assistant Professor of Medicine in the Division of Liver Diseases at MSSM, founder of the Hepatitis Outreach Network (HONE) program will serve as co-director for the HepCure Project. 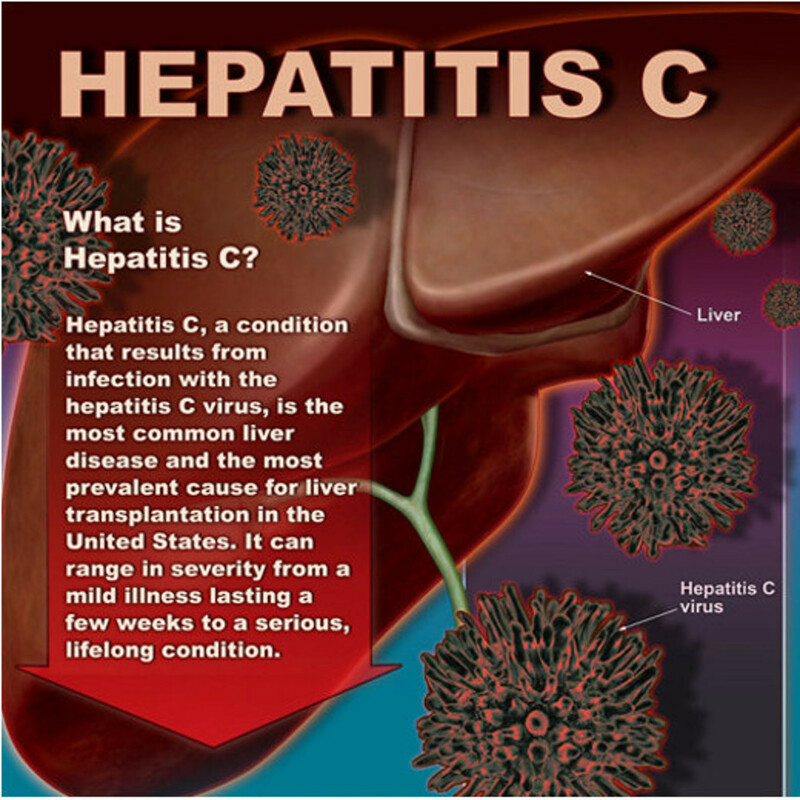 In her clinical work as a hepatologist and in her innovative outreach work in the HONE program she is actively engaged in the mission to improve access to HCV care and its effectiveness. 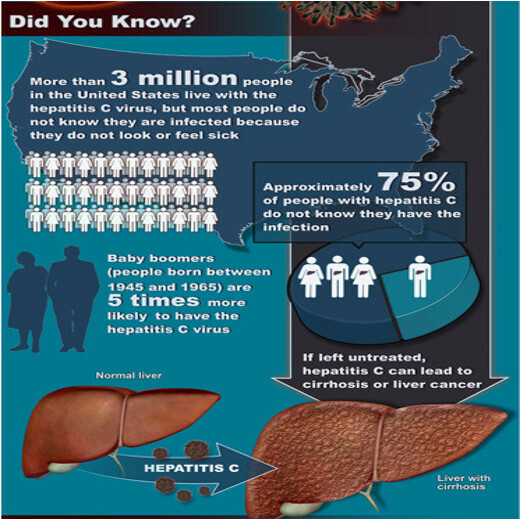 Her focus is on viral hepatitis health services research in people in underserved communities. An Associate Professor of Medicine and Director of HCV Research and Clinical Programs in the Division of General Internal Medicine (DGIM) at MSSM will serve as co-director for the HepCure project. He studies psychosocial barriers to HCV treatment uptake and adherence to HCV treatment and has developed an innovative web-based assessment tool to evaluate patients’ psychosocial readiness to begin HCV treatment. Is an Assistant Professor of Medicine and Director of the Informatics for Research, Outcomes and Quality (I-ROQ) in the Division of Gastroenterology. Dr. Ashish Atreja is an informaticist and public health researcher, who has more than 10 years experience in health information technology including electronic health record, personal health records, patient reported outcomes, online education, quality dashboards and business intelligence. MPH, Korin Parrella is a Research Coordinator in the Division of General Internal Medicine and works with the Mount Sinai Primary Care Hepatitis C (HCV) Program conducting community-based outreach, education, and testing for hepatitis C. Her focus is on linkage to care issues surrounding patient access to HCV-related medical care and services. Jason Rogers has been Project Coordinator for the Sinai AppLab since 2014. A graduate of Syracuse University, his technology background and 5+ years working in health care make him an ideal manager for the program. When not at work, he is passionate about running and soccer. He is always up on the latest news and current events. “Personal Information” is information that identifies someone as an individual. In addition to Personal Information, Other Information (as defined below) may be collected in connection with the Platform; the collection, use and disclosure of Other Information is addressed separately below, under the heading “OTHER INFORMATION”. Other personally identifiable information (including personally identifiable information contained within files or video and certain of your health information, if provided by you) about you and third parties that you may choose to transmit or otherwise make available through the Platform to Mount Sinai and/or its third-party service providers and business partners, including by completing profile forms, completing applications, questionnaires or similar documents, communicating with customer service personnel, and otherwise interacting with Mount Sinai and its third-party service providers and business partners. Certain Personal Information is voluntary and not required to access or use the Platform; other Personal Information may be mandatory and required to access or use the Platform or certain portions of the Platform. To respond to your inquiries and fulfill your requests, such as to send notifications to you, complete your transactions and otherwise operate the Platform. To send administrative information to you, including information regarding the Platform and changes to our terms, conditions and policies. To allow you to send and receive messages (including files, video and text messages) to and from other individuals, through or in connection with the Platform, and to send and receive such messages on your behalf. To help us improve your experience, including by learning more about your preferences to help personalize your experience with us. For our business purposes, such as quality assessment, data analysis, audits, developing new products and services, improving the Platform, identifying usage trends and determining the effectiveness of our promotional campaigns. To protect the security or integrity of our businesses and online properties, including the Platform. As we believe to be necessary or appropriate: (a) under applicable law, including laws outside your country of residence; (b) to comply with legal process; (c) to respond to requests from public or government authorities, including public or government authorities outside your country of residence; (d) to enforce our terms and conditions; (e) to protect our operations or those of any of our affiliates; (f) to protect our rights, privacy, safety or property, or that of our affiliates, service providers, members, you or others, including through credit-fraud protection and risk reduction; (g) at our discretion under emergency circumstances, to notify emergency services or your family members, personal representative or other individuals involved in your care of your location and condition; or (h) to allow us to pursue available remedies or limit the damages that we may sustain. · To identify you to anyone to whom you send information or messages(including files, video and text messages) through or in connection with the Platform, including messages that we may send on your behalf. · By you, through messages (including files, video and text messages), profile pages, user directories and other functionality with which you are able to share or post information and materials. We are not responsible for such recording, access, use, alteration, manipulation or disclosure. We urge you to be very careful when deciding to disclose your Personal Information, or any other information, in connection with the Platform. · To a third party in the event personal information is transferred or made available to such third party in connection with any reorganization, merger, sale, joint venture, assignment, transfer or other disposition of all or any portion of our business, assets or stock (including in connection with any bankruptcy or similar proceeding). · As we believe to be necessary or appropriate: (a) under applicable law, including laws outside your country of residence; (b) to comply with legal process; (c) to respond to requests from public or government authorities, including public or government authorities outside your country of residence; (d) to enforce our terms and conditions; (e) to protect our operations or those of any of our affiliates; (f) to protect our rights, privacy, safety or property, or that of our affiliates, service providers, members, you or others, including through credit-fraud protection and risk reduction; (g) at our discretion under emergency circumstances, to notify emergency services or your family members, personal representative or other individuals involved in your care of your location and condition; or (h) to allow us to pursue available remedies or limit the damages that we may sustain. Technical information about your device and Internet connection. Statistics concerning messages (including files, video and text messages) sent or received through the Platform, such as the length of such messages, the IP Addresses involved and other technical parameters. · Through server log files: Your “IP Address” is a number that is automatically assigned to the device that you are using by your Internet Service Provider (ISP). An IP Address is identified and logged automatically in our server log files whenever a user uses the Platform, along with the time of the use and the pages or areas visited within the Platform. Collecting IP Addresses is standard practice on the Internet and is done automatically by many websites and applications. We and our third-party service providers use IP Addresses for purposes such as helping to calculate usage levels of the Platform, diagnose server problems and administer the Platform. · Through your browser or device: Certain information is collected automatically through your device, such as your operating system name and version, device manufacturer, device identity and model, language, and the name and version of the software application you are using. · Device location information: We may collect the physical location of your device by, for example, using satellite, cell phone tower, your IP Address or WiFi signals. We may use your device’s physical location to provide you with personalized location-based services and content. In some instances, you may be permitted to allow or deny such uses and/or sharing of your device’s location, but if you choose to deny such uses and/or sharing, we and/or our marketing partners may not be able to provide you with the applicable personalized services and content. · Using pixel tags and other similar technologies: Pixel tags (also known as web beacons and clear GIFs) and other similar technologies may be used in connection with some pages and areas of the Platform and HTML-formatted e-mail messages to, among other things, track the actions of users of the Platform and e-mail recipients, measure the success of our marketing campaigns and compile statistics about usage and response rates of the Platform. · From you: We may collect demographic information such as, for example, your age, occupation and family status, as well as other information when you voluntarily provide such information to us. We may also collect such information about you from third parties. Unless combined with Personal Information, this information does not personally identify you or any other user of the Platform. · By aggregating information: Aggregated Personal Information does not personally identify you or any other user of the Platform. For example, we may aggregate Personal Information to calculate the percentage of our users who have attended a particular event. Because Other Information does not personally identify you, we may use and disclose Other Information for any purpose. In some instances, we may combine Other Information with Personal Information (such as combining your zip code with your name). If we combine any Other Information with Personal Information, the combined information will be treated by us as Personal Information as long as it is so combined. If you have reason to believe that your interaction with us is no longer secure (for example, if you feel that the security of any account you might have with us has been compromised), please immediately notify us of the problem by contacting us in accordance with the “CONTACTING US” section below. If you would like to review or update your Personal Information that has been previously provided to us, you may do so by logging into your account within the Platform, or, for certain Personal Information that is not reviewable through the Platform, you may contact us in accordance with the “CONTACTING US” section below. We will try to comply with your request to update your Personal Information as soon as reasonably practicable. We are not responsible for changing information from the databases of third parties with whom we have already shared your Personal Information. Please read these Terms of Service (the “Agreement”) carefully. Your use of the Platform (as defined below) constitutes your consent to this Agreement. This Agreement is between you and The Mount Sinai Hospital and the Icahn School of Medicine at Mount Sinai (together, “Mount Sinai,” “us” or “we”) concerning your use of (including any access to) the general HepCure website, currently located at http://www.hepcure.org (and not the provider HepCure website, currently located at https://providers.hepcure.org) (together with any materials and services available therein, and successor site(s) thereto, the “Site”), and the HepCure application (together with any materials and services available in connection therewith, and successor application(s) thereto, the “App”). The Site and the App are referred to collectively herein as the “Platform.” This Agreement hereby incorporates by this reference any additional terms and conditions posted by Mount Sinai through the Platform, or otherwise made available to you by Mount Sinai. Your use of the Platform is governed by this Agreement regardless of how you access the Platform, including through the Internet, through Wireless Access Protocol (commonly referred to as “WAP”), through a mobile network or otherwise. BY USING THE PLATFORM, YOU AFFIRM THAT YOU ARE OF LEGAL AGE TO ENTER INTO THIS AGREEMENT. 1. Changes. We may change this Agreement by notifying you of such changes by any reasonable means, including by posting a revised Agreement through the Site or on the App. Any such changes will not apply to any dispute between you and us arising prior to the date on which we posted the revised Agreement incorporating such changes, or otherwise notified you of such changes. Your use of the Platform following any changes to this Agreement will constitute your acceptance of such changes. The “LAST UPDATED” legend above indicates when this Agreement was last changed. We may, at any time and without liability, modify or discontinue all or part of the Platform (including access to the Platform via any third-party links); charge, modify or waive any fees required to use the Platform; or offer opportunities to some or all Platform users. 3. Jurisdictional Issues. The Platform is controlled or operated (or both) from the United States, and is not intended to subject Mount Sinai to any non-U.S. jurisdiction or law. The Platform may not be appropriate or available for use in some non-U.S. jurisdictions. Any use of the Platform is at your own risk, and you must comply with all applicable laws, rules and regulations in doing so. We may limit the Platform’s availability at any time, in whole or in part, to any person, geographic area or jurisdiction that we choose. · Post, transmit or otherwise make available through or in connection with the Platform any materials that are or may be: (a) threatening, harassing, degrading, hateful or intimidating, or otherwise fail to respect the rights and dignity of others; (b) defamatory, libelous, fraudulent or otherwise tortious; (c) obscene, indecent, pornographic or otherwise objectionable; or (d) protected by copyright, trademark, trade secret, right of publicity or privacy or any other proprietary right, without the express prior written consent of the applicable owner. · Post, transmit or otherwise make available through or in connection with the Platform any virus, worm, Trojan horse, Easter egg, time bomb, spyware or other computer code, file or program that is or is potentially harmful or invasive or intended to damage or hijack the operation of, or to monitor the use of, any hardware, software or equipment. · Use the Platform for any purpose that is fraudulent or otherwise tortious or unlawful. · Harvest or collect information about users of the Platform. · Interfere with or disrupt the operation of the Platform or the servers or networks used to make the Platform available, including by hacking or defacing any portion of the Platform; or violate any requirement, procedure or policy of such servers or networks. · Restrict or inhibit any other person from using the Platform. · Reproduce, modify, adapt, translate, create derivative works of, sell, rent, lease, loan, timeshare, distribute or otherwise exploit any portion of (or any use of) the Platform except as expressly authorized herein, without Mount Sinai’s express prior written consent. · Reverse engineer, decompile or disassemble any portion of the Platform, except where such restriction is expressly prohibited by applicable law. · Remove any copyright, trademark or other proprietary rights notice from the Platform. · Frame or mirror any portion of the Platform, or otherwise incorporate any portion of the Platform into any product or service, without Mount Sinai’s express prior written consent. · Systematically download and store Platform content. · Use any robot, spider, site search/retrieval application or other manual or automatic device to retrieve, index, “scrape,” “data mine” or otherwise gather Platform content, or reproduce or circumvent the navigational structure or presentation of the Platform, without Mount Sinai’s express prior written consent. Notwithstanding the foregoing, and subject to compliance with any instructions posted in the robots.txt file located in the Site’s root directory, Mount Sinai grants to the operators of public search engines permission to use spiders to copy materials from the Site for the sole purpose of (and solely to the extent necessary for) creating publicly available, searchable indices of such materials, but not caches or archives of such materials. Mount Sinai reserves the right to revoke such permission either generally or in specific cases, at any time and without notice. You are responsible for obtaining, maintaining and paying for all hardware and all telecommunications and other services needed to use the Platform. 5. Products. The Platform may make available listings, descriptions and images of goods or services (collectively, “Products”), as well as references and links to Products. Such Products may be made available by Mount Sinai or by third parties. The availability through the Platform of any listing, description or image of a Product does not imply our endorsement of such Product or affiliation with the provider of such Product. We make no representations as to the completeness, accuracy or timeliness of such listings, descriptions or images (including any features, specifications and prices contained therein). Such information and the availability of any Product (including the validity of any coupon or discount) is subject to change at any time without notice. Certain weights, measures and similar descriptions are approximate and are for convenience only. It is your responsibility to ascertain and obey all applicable local, state, federal and foreign laws (including minimum age requirements) regarding the possession, use and sale of any Product. 6. Registration; User Names and Passwords. You may need to register to use all or part of the Platform. We may reject, or require that you change, any user name, password or other information that you provide to us in registering. Your user name and password and, if applicable, your confirmation number or identification number or code, or similar access credential (each, an “Access Credential”) are for your personal use only and should be kept confidential and may not be shared with any other person; you, and not Mount Sinai, are responsible for any use or misuse of your Access Credentials, and you must promptly notify us of any confidentiality breach or unauthorized use of any of your Access Credentials, or your Platform account. 7. Profiles and Forums. Platform visitors may make available certain materials (each, a “Submission”) through or in connection with the Platform, including on profile pages (each, a “Profile”) or on the Platform’s interactive services, such as message boards and other forums, and chatting, commenting and other messaging functionality. Mount Sinai has no control over and is not responsible for any use or misuse (including any distribution) by any third party of Submissions. IF YOU CHOOSE TO MAKE ANY OF YOUR PERSONALLY IDENTIFIABLE OR OTHER INFORMATION PUBLICLY AVAILABLE THROUGH THE PLATFORM, YOU DO SO AT YOUR OWN RISK. 8. License. For purposes of clarity, you retain ownership of your Submissions. For each Submission, you hereby grant to us a worldwide, royalty-free, fully paid-up, non-exclusive, perpetual, irrevocable, transferable and sublicensable license, without additional consideration to you or any third party, to reproduce, distribute, display, create derivative works of, adapt, modify and otherwise use such Submission, in any format or media now known or hereafter developed, in connection with the Platform and for research purposes. The foregoing license will not extend to your private messages with other Platform users (other than with respect to messages to Mount Sinai containing Feedback, as explained below). In addition, if you provide to us any ideas, proposals, or suggestions for improvements or modifications to the Platform (“Feedback”), such Feedback will be deemed a Submission, and you hereby acknowledge and agree that such Feedback is not confidential, and that your provision of such Feedback is gratuitous, unsolicited and without restriction, and does not place Mount Sinai under any fiduciary or other obligation. You represent and warrant that you have all rights necessary to grant the licenses granted in this section, and that your Submissions, and your provision thereof through and in connection with the Platform, are complete and accurate, and are not fraudulent, tortious or otherwise in violation of any applicable law or any right of any third party. You further irrevocably waive any “moral rights” or other rights with respect to attribution of authorship or integrity of materials regarding each Submission that you may have under any applicable law under any legal theory. 9. Monitoring. We may (but have no obligation to) monitor, evaluate, alter or remove Submissions before or after they appear on the Platform. We may disclose any Submissions and the circumstances surrounding their transmission to anyone for any reason or purpose. 10. Mount Sinai's Proprietary Rights. We and our suppliers own the Platform, which is protected by proprietary rights and laws. Subject to your compliance with this Agreement, and solely for so long as you are permitted by Mount Sinai to use the Site, you may view one (1) copy of any portion of the Site to which we provide you access hereunder, on any single device, solely for your personal, non-commercial use. The App is licensed (not sold) to end users. Subject to your compliance with this Agreement, and solely for so long as you are permitted by Mount Sinai to use the App, we hereby permit you, on a limited, non-exclusive, revocable, non-transferable, non-sublicensable basis, to install and use the App on a mobile device that you own or control. If you fail to comply with any of the terms or conditions of this Agreement, you must immediately cease using the App and remove (that is, uninstall and delete) the App from your mobile device. The trade names, trademarks and service marks and any associated logos on the Platform are the property of their respective owners. You may not use our trade names, trademarks, service marks or logos in connection with any product or service that is not ours, or in any manner that is likely to cause confusion. Nothing contained on the Platform should be construed as granting any right to use any trade names, trademarks, service marks or logos without the express prior written consent of the owner. 11. Third Party Materials; Links. Certain Platform functionality may make available access to materials made available by third parties, including Submissions (“Third Party Materials”), or allow for the routing or transmission of such Third Party Materials, including via links. By using such functionality, you are directing us to access, route and transmit to you the applicable Third Party Materials. We neither control nor endorse, nor are we responsible for, any Third Party Materials, including the accuracy, integrity, quality, legality, usefulness or safety of Third Party Materials, or any intellectual property rights therein. Certain Third Party Materials may, among other things, be inaccurate, misleading or deceptive. Nothing in this Agreement shall be deemed to be a representation or warranty by Mount Sinai with respect to any Third Party Materials. We have no obligation to monitor Third Party Materials, and we may block or disable access to any Third Party Materials (in whole or part) through the Platform at any time. In addition, the availability of any Third Party Materials through the Platform does not imply our endorsement of, or our affiliation with, any provider of such Third Party Materials, nor does such availability create any legal relationship between you and any such provider. 12. DISCLAIMER OF WARRANTIES. THE PLATFORM AND ANY PRODUCTS AND THIRD PARTY MATERIALS ARE MADE AVAILABLE TO YOU “AS IS” WITHOUT ANY WARRANTIES OF ANY KIND, WHETHER EXPRESS, IMPLIED OR STATUTORY. MOUNT SINAI DISCLAIMS ALL WARRANTIES WITH RESPECT TO THE PLATFORM AND ANY PRODUCTS AND THIRD PARTY MATERIALS TO THE FULLEST EXTENT PERMISSIBLE UNDER APPLICABLE LAW, INCLUDING THE WARRANTIES OF MERCHANTABILITY, FITNESS FOR A PARTICULAR PURPOSE, NON-INFRINGEMENT AND TITLE. ALL DISCLAIMERS OF ANY KIND (INCLUDING IN THIS SECTION AND ELSEWHERE IN THIS AGREEMENT) ARE MADE ON BEHALF OF MOUNT SINAI AND ITS AFFILIATES AND ITS AND THEIR RESPECTIVE TRUSTEES, OFFICERS, EMPLOYEES, CONTRACTORS, VOLUNTEERS, SPONSORS, AGENTS, REPRESENTATIVES, LICENSORS, AND SUPPLIERS (COLLECTIVELY, THE “AFFILIATED ENTITIES”). IMPORTANT NOTE REGARDING HEALTH-RELATED INFORMATION: YOUR USE OF THE PLATFORM AND ANY INFORMATION PROVIDED ON OR IN CONNECTION WITH THE PLATFORM IS AT YOUR OWN RISK. 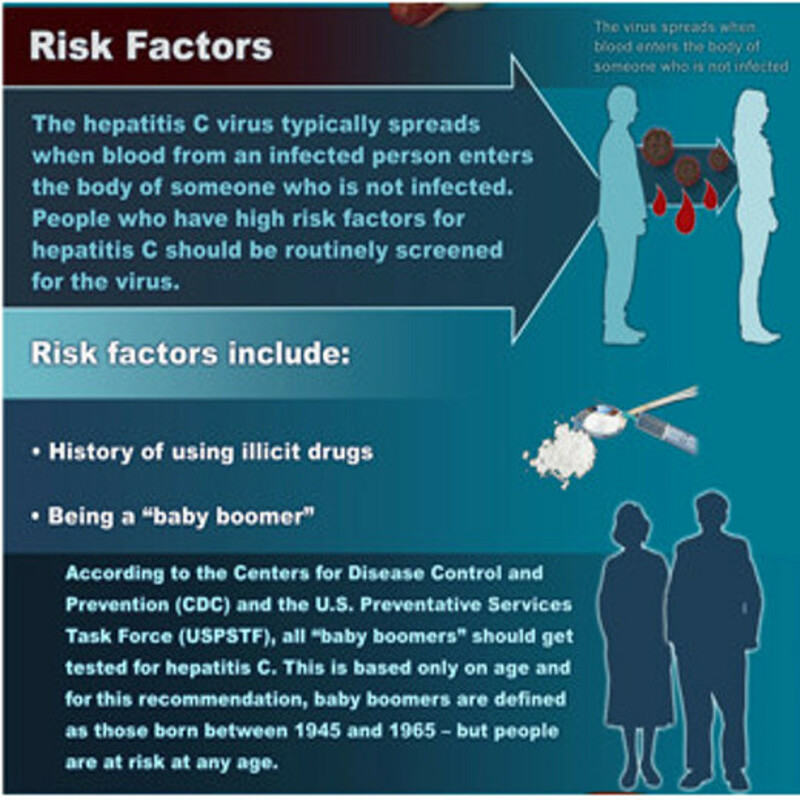 THE PLATFORM MAY PROVIDE INFORMATION REGARDING HEALTH-RELATED ISSUES, INCLUDING INFORMATION RELATED TO GUIDELINES CREATED BY THE AMERICAN ASSOCIATION FOR THE STUDY OF LIVER DISEASES AND THE INFECTIOUS DISEASES SOCIETY OF AMERICA (CURRENTLY AVAILABLE AT MEDICAL ADVICE, DIAGNOSIS OR TREATMENT, (B) SHOULD NOT BE CONSTRUED AS THE PROVISION OF ADVICE OR RECOMMENDATIONS, AND (C) SHOULD NOT BE RELIED UPON AS THE BASIS FOR ANY DECISION OR ACTION, INCLUDING WITHOUT LIMITATION THE DIAGNOSIS OR TREATMENT OF ANY HEALTH PROBLEM. WE ARE NOT RESPONSIBLE FOR THE ACCURACY OR RELIABILITY OF ANY SUCH INFORMATION. SUCH INFORMATION IS NOT EXHAUSTIVE AND SHOULD NOT BE CONSIDERED COMPLETE OR UP-TO-DATE. IT IS YOUR RESPONSIBILITY TO EVALUATE THE ACCURACY, COMPLETENESS OR USEFULNESS OF ANY INFORMATION AVAILABLE THROUGH THE PLATFORM. THE RELATIONSHIP BETWEEN YOU AND US IS NOT A PHYSICIAN-PATIENT OR SIMILAR RELATIONSHIP; ALWAYS SEEK THE ADVICE OF YOUR PHYSICIAN OR OTHER QUALIFIED HEALTH PROVIDER WITH ANY QUESTIONS YOU MAY HAVE REGARDING A MEDICAL CONDITION, AND NEVER DISREGARD PROFESSIONAL MEDICAL ADVICE OR DELAY IN SEEKING IT BECAUSE OF SOMETHING YOU HAVE READ ON THE PLATFORM. CALL 911 OR GO TO YOUR NEAREST EMERGENCY ROOM IN THE EVENT OF AN EMERGENCY SITUATION. HEALTH CARE PROFESSIONALS SHOULD BE AWARE THAT THE PLATFORM, THE GUIDELINES AND OTHER HEALTH-RELATED INFORMATION PROVIDED BY THE PLATFORM, AND OTHER COMMUNICATIONS THAT ARE FACILITATED BY THE PLATFORM, DO NOT TAKE THE PLACE OF PATIENT COMMUNICATIONS AND ARE NOT INTENDED OR DESIGNED TO BE PART OF A PATIENT’S MEDICAL RECORDS. While we try to maintain the timeliness, integrity and security of the Platform, we do not guarantee that the Platform is or will remain updated, complete, correct or secure, or that access to the Platform will be uninterrupted. The Platform may include inaccuracies, errors and materials that violate or conflict with this Agreement. Additionally, third parties may make unauthorized alterations to the Platform. If you become aware of any such alteration, contact us at hepcure@mountsinai.org with a description of such alteration and its location on the Platform. 13. Limitation of Liability. MOUNT SINAI WILL NOT BE LIABLE FOR ANY INDIRECT, INCIDENTAL, CONSEQUENTIAL, SPECIAL, EXEMPLARY OR PUNITIVE DAMAGES OF ANY KIND, UNDER ANY CONTRACT, TORT (INCLUDING NEGLIGENCE), STRICT LIABILITY OR OTHER THEORY, INCLUDING DAMAGES FOR LOSS OF PROFITS, USE OR DATA, LOSS OF OTHER INTANGIBLES, LOSS OF SECURITY OF SUBMISSIONS (INCLUDING UNAUTHORIZED INTERCEPTION BY THIRD PARTIES OF ANY SUBMISSIONS), EVEN IF ADVISED IN ADVANCE OF THE POSSIBILITY OF SUCH DAMAGES OR LOSSES. WITHOUT LIMITING THE FOREGOING, MOUNT SINAI WILL NOT BE LIABLE FOR DAMAGES OF ANY KIND RESULTING FROM YOUR USE OF OR INABILITY TO USE THE PLATFORM OR FROM ANY PRODUCTS OR THIRD PARTY MATERIALS, INCLUDING WITH RESPECT TO ANY DECISION OR ACTION TAKEN, OR NOT TAKEN, IN RELIANCE UPON THE INFORMATION CONTAINED OR PROVIDED THROUGH THE PLATFORM (including the guidelines) AND USE OR DISCLOSURE OF YOUR PERSONAL OR MEDICAL INFORMATION THROUGH YOUR USE OF THE PLATFORM. YOUR SOLE AND EXCLUSIVE REMEDY FOR DISSATISFACTION WITH THE PLATFORM OR ANY PRODUCTS OR THIRD PARTY MATERIALS IS TO STOP USING THE PLATFORM. THE MAXIMUM aggregate LIABILITY OF MOUNT SINAI FOR ALL DAMAGES, LOSSES AND CAUSES OF ACTION, WHETHER IN CONTRACT, TORT (INCLUDING NEGLIGENCE) OR OTHERWISE, SHALL BE THE GREATER OF (A) THE TOTAL AMOUNT, IF ANY, PAID BY YOU TO MOUNT SINAI TO USE THE PLATFORM AND (B) TEN DOLLARS ($10.00). ALL LIMITATIONS OF LIABILITY OF ANY KIND (INCLUDING IN THIS SECTION AND ELSEWHERE IN THIS AGREEMENT) ARE MADE ON BEHALF OF BOTH MOUNT SINAI AND THE AFFILIATED ENTITIES. 14. Indemnity. Except to the extent prohibited under applicable law, you agree to defend, indemnify and hold harmless Mount Sinai and the Affiliated Entities from and against all claims, losses, costs and expenses (including attorneys’ fees) arising out of (a) your use of, or activities in connection with, the Platform (including all Submissions); and (b) any violation or alleged violation of this Agreement by you. 15. Termination. This Agreement is effective until terminated. Mount Sinai may terminate or suspend your use of the Platform at any time and without prior notice, including if Mount Sinai believes that you have violated or acted inconsistently with the letter or spirit of this Agreement. Upon any such termination or suspension, your right to use the Platform will immediately cease, and Mount Sinai may, without liability to you or any third party, immediately deactivate or delete your user name, password and account, and all associated materials, without any obligation to provide any further access to such materials. Sections 2–5, 7–9, 11–21 shall survive any expiration or termination of this Agreement. 16. Governing Law; Arbitration. The terms of this Agreement are governed by the laws of the State of New York, U.S.A., without regard to its principles of conflicts of law, and regardless of your location. EXCEPT FOR DISPUTES THAT QUALIFY FOR SMALL CLAIMS COURT, ALL DISPUTES ARISING OUT OF OR RELATED TO THIS AGREEMENT OR ANY ASPECT OF THE RELATIONSHIP BETWEEN YOU AND MOUNT SINAI, WHETHER BASED IN CONTRACT, TORT, STATUTE, FRAUD, MISREPRESENTATION OR ANY OTHER LEGAL THEORY, WILL BE RESOLVED THROUGH FINAL AND BINDING ARBITRATION BEFORE A NEUTRAL ARBITRATOR INSTEAD OF IN A COURT BY A JUDGE OR JURY AND YOU AGREE THAT MOUNT SINAI AND YOU ARE EACH WAIVING THE RIGHT TO TRIAL BY A JURY. YOU AGREE THAT ANY ARBITRATION UNDER THIS AGREEMENT WILL TAKE PLACE ON AN INDIVIDUAL BASIS; CLASS ARBITRATIONS AND CLASS ACTIONS ARE NOT PERMITTED AND YOU ARE AGREEING TO GIVE UP THE ABILITY TO PARTICIPATE IN A CLASS ACTION. The arbitration will be administered by the American Arbitration Association under its Consumer Arbitration Rules (currently available at https://www.adr.org/aaa/faces/rules/searchrules/rulesdetail?doc=ADRSTAGE2021424), as amended by this Agreement. The arbitrator will conduct hearings, if any, by teleconference or videoconference, rather than by personal appearances, unless the arbitrator determines upon request by you or by us that an in-person hearing is appropriate. Any in-person appearances will be held in New York County, NY, U.S.A. The arbitrator’s decision will follow the terms of this Agreement and will be final and binding. The arbitrator will have authority to award temporary, interim or permanent injunctive relief or relief providing for specific performance of this Agreement, but only to the extent necessary to provide relief warranted by the individual claim before the arbitrator. The award rendered by the arbitrator may be confirmed and enforced in any court having jurisdiction thereof. Notwithstanding any of the foregoing, nothing in this Agreement will preclude you from bringing issues to the attention of federal, state or local agencies and, if the law allows, they can seek relief against us for you. 17. Filtering. We hereby notify you that parental control protections (such as computer hardware, software or filtering services) are commercially available that may assist you in limiting access to material that is harmful to minors. Information identifying current providers of such protections is available from GetNetWise (http://kids.getnetwise.org/) and OnGuard Online (http://onguardonline.gov/). Please note that Mount Sinai does not endorse any of the products or services listed on such sites. 18. Information or Complaints. If you have a question or complaint regarding the Platform, please send an e-mail to hepcure@mountsinai.org. You may also contact us by writing to Ponni Perumalswami, 1 Gustave Levy Pl, NY NY 10029, or by calling us at 212-241-6500. Please note that e-mail communications will not necessarily be secure; accordingly you should not include credit card information or other sensitive information in your e-mail correspondence with us. California residents may reach the Complaint Assistance Unit of the Division of Consumer Services of the California Department of Consumer Affairs by mail at 1625 North Market Blvd., Sacramento, CA 95834, or by telephone at (916) 445-1254 or (800) 952-5210. 19. Copyright Infringement Claims. The Digital Millennium Copyright Act of 1998 (the “DMCA”) provides recourse for copyright owners who believe that material appearing on the Internet infringes their rights under U.S. copyright law. If you believe in good faith that materials available on the Platform infringe your copyright, you (or your agent) may send to Mount Sinai a written notice by mail, e-mail or fax, requesting that Mount Sinai remove such material or block access to it. If you believe in good faith that someone has wrongly filed a notice of copyright infringement against you, the DMCA permits you to send to Mount Sinai a counter-notice. Notices and counter-notices must meet the then-current statutory requirements imposed by the DMCA. See http://www.copyright.gov/ for details. Notices and counter-notices must be sent in writing to Beth Essig, General Counsel, as follows: By mail to Office of the General Counsel, Icahn School of Medicine at Mount Sinai, Mount Sinai Hospitals Group, 1 Gustave Levy Place, New York, NY 10029; by e-mail to bessig@chpnet.org; or by fax to (212) 348-2230. Ms. Essig’s phone number is (212) 659-8105. 20. Miscellaneous. This Agreement does not, and shall not be construed to, create any partnership, joint venture, employer-employee, agency or franchisor-franchisee relationship between you and Mount Sinai. If any provision of this Agreement is found to be unlawful, void or for any reason unenforceable, that provision will be deemed severable from this Agreement and will not affect the validity and enforceability of any remaining provision. You may not assign, transfer or sublicense any or all of your rights or obligations under this Agreement without our express prior written consent. We may assign, transfer or sublicense any or all of our rights or obligations under this Agreement without restriction. No waiver by either party of any breach or default hereunder will be deemed to be a waiver of any preceding or subsequent breach or default. Any heading, caption or section title contained herein is for convenience only, and in no way defines or explains any section or provision. All terms defined in the singular shall have the same meanings when used in the plural, where appropriate and unless otherwise specified. Any use of the term “including” or variations thereof in this Agreement shall be construed as if followed by the phrase “without limitation.” This Agreement, including any terms and conditions incorporated herein, is the entire agreement between you and Mount Sinai relating to the subject matter hereof, and supersedes any and all prior or contemporaneous written or oral agreements or understandings between you and Mount Sinai relating to such subject matter. Notices to you (including notices of changes to this Agreement) may be made via posting to the Site or App or by e-mail (including in each case via links), or by regular mail. Without limitation, a printed version of this Agreement and of any notice given in electronic form shall be admissible in judicial or administrative proceedings based upon or relating to this Agreement to the same extent and subject to the same conditions as other business documents and records originally generated and maintained in printed form. Mount Sinai will not be responsible for any failure to fulfill any obligation due to any cause beyond its control. 21. Apple-Specific Terms. In addition to your agreement with the foregoing terms and conditions, and notwithstanding anything to the contrary herein, the following provisions apply with respect to your use of any version of the App compatible with the iOS operating system of Apple Inc. (“Apple”). Apple is not a party to this Agreement and does not own and is not responsible for the App. Apple is not providing any warranty for the App except, if applicable, to refund the purchase price for it. Apple is not responsible for maintenance or other support services for the App and shall not be responsible for any other claims, losses, liabilities, damages, costs or expenses with respect to the App, including any third-party product liability claims, claims that the App fails to conform to any applicable legal or regulatory requirement, claims arising under consumer protection or similar legislation, and claims with respect to intellectual property infringement. Any inquiries or complaints relating to the use of the App, including those pertaining to intellectual property rights, must be directed to Mount Sinai in accordance with the “Information or Complaints” section above. The license you have been granted herein is limited to a non-transferable license to use the App on an Apple-branded product that runs Apple’s iOS operating system and is owned or controlled by you, or as otherwise permitted by the Usage Rules set forth in Apple’s App Store Terms of Service. In addition, you must comply with the terms of any third-party agreement applicable to you when using the App, such as your wireless data service agreement. Apple and Apple’s subsidiaries are third-party beneficiaries of this Agreement and, upon your acceptance of the terms and conditions of this Agreement, will have the right (and will be deemed to have accepted the right) to enforce this Agreement against you as a third-party beneficiary thereof; notwithstanding the foregoing, Mount Sinai’s right to enter into, rescind or terminate any variation, waiver or settlement under this Agreement is not subject to the consent of any third party. Platform © 2014-2015 Icahn School of Medicine at Mount Sinai unless otherwise noted. All rights reserved. IMPORTANT NOTE REGARDING HEALTH-RELATED INFORMATION: YOUR USE OF THE PLATFORM AND ANY INFORMATION PROVIDED ON OR IN CONNECTION WITH THE PLATFORM IS AT YOUR OWN RISK. 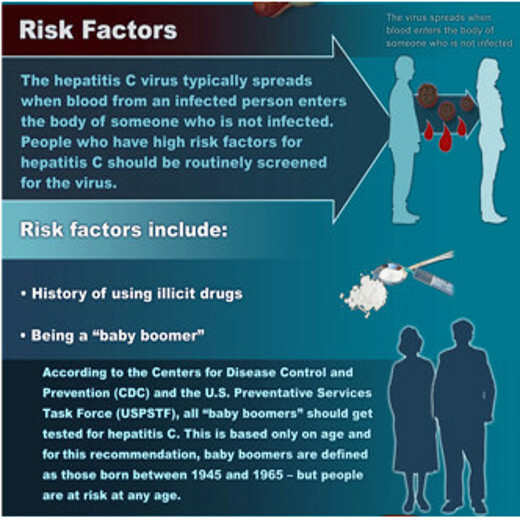 THE PLATFORM MAY PROVIDE INFORMATION REGARDING HEALTH-RELATED ISSUES, INCLUDING INFORMATION RELATED TO GUIDELINES CREATED BY THE AMERICAN ASSOCIATION FOR THE STUDY OF LIVER DISEASES AND THE INFECTIOUS DISEASES SOCIETY OF AMERICA (CURRENTLY AVAILABLE AT WWW.HCVGUIDELINES.ORG) (COLLECTIVELY, “GUIDELINES”). SUCH INFORMATION (INCLUDING THE GUIDELINES) (A) IS NOT INTENDED AS A SUBSTITUTE FOR PROFESSIONAL MEDICAL ADVICE, DIAGNOSIS OR TREATMENT, (B) SHOULD NOT BE CONSTRUED AS THE PROVISION OF ADVICE OR RECOMMENDATIONS, AND (C) SHOULD NOT BE RELIED UPON AS THE BASIS FOR ANY DECISION OR ACTION, INCLUDING WITHOUT LIMITATION THE DIAGNOSIS OR TREATMENT OF ANY HEALTH PROBLEM. WE ARE NOT RESPONSIBLE FOR THE ACCURACY OR RELIABILITY OF ANY SUCH INFORMATION. SUCH INFORMATION IS NOT EXHAUSTIVE AND SHOULD NOT BE CONSIDERED COMPLETE OR UP-TO-DATE. IT IS YOUR RESPONSIBILITY TO EVALUATE THE ACCURACY, COMPLETENESS OR USEFULNESS OF ANY INFORMATION AVAILABLE THROUGH THE PLATFORM. THE RELATIONSHIP BETWEEN YOU AND US IS NOT A PHYSICIAN-PATIENT OR SIMILAR RELATIONSHIP; ALWAYS SEEK THE ADVICE OF YOUR PHYSICIAN OR OTHER QUALIFIED HEALTH PROVIDER WITH ANY QUESTIONS YOU MAY HAVE REGARDING A MEDICAL CONDITION, AND NEVER DISREGARD PROFESSIONAL MEDICAL ADVICE OR DELAY IN SEEKING IT BECAUSE OF SOMETHING YOU HAVE READ ON THE PLATFORM. CALL 911 OR GO TO YOUR NEAREST EMERGENCY ROOM IN THE EVENT OF AN EMERGENCY SITUATION. HEALTH CARE PROFESSIONALS SHOULD BE AWARE THAT THE PLATFORM, THE GUIDELINES AND OTHER HEALTH-RELATED INFORMATION PROVIDED BY THE PLATFORM, AND OTHER COMMUNICATIONS THAT ARE FACILITATED BY THE PLATFORM, DO NOT TAKE THE PLACE OF PATIENT COMMUNICATIONS AND ARE NOT INTENDED OR DESIGNED TO BE PART OF A PATIENT’S MEDICAL RECORDS. The purpose of the HepCure project is to develop, pilot and scale-up a state-of-the-art statewide telemedicine and distance learning online portal and a complimentary patient smartphone mobile application. Use of the portal and app will be free of charge to both patients and providers. Starting with New York State, the aims of this collaborative portal are: 1) improve access to quality health care for New Yorkers with HCV; 2) build the capacity of PCPs to screen, evaluate and treat patients with HCV infection; and 3) provide online guided navigation to patients with HCV. This project will focus on providing outreach to at-risk communities, training PCPs in rural areas through tele-mentoring, and improving treatment evaluations and strategies for patients with HCV. We are a partnership between an academic medical center (Icahn School of Medicine at Mount Sinai), the NYS Department of Health AIDS Institute and the leading NYS primary care association (Community Health Care Association of NYS – CHCANYS). This project is a partnership of an academic medical center (Mount Sinai School of Medicine- MSSM), the NYS Department of Health AIDS Institute (Colleen Flanigan, RN, MS, Director, Viral Hepatitis Section; see letter of support), and the leading NYS primary care association (Community Health Care Association of NYS – CHCANYS; Kameron Wells, ND, RN, Vice President, Clinical Affairs; see letter of support). 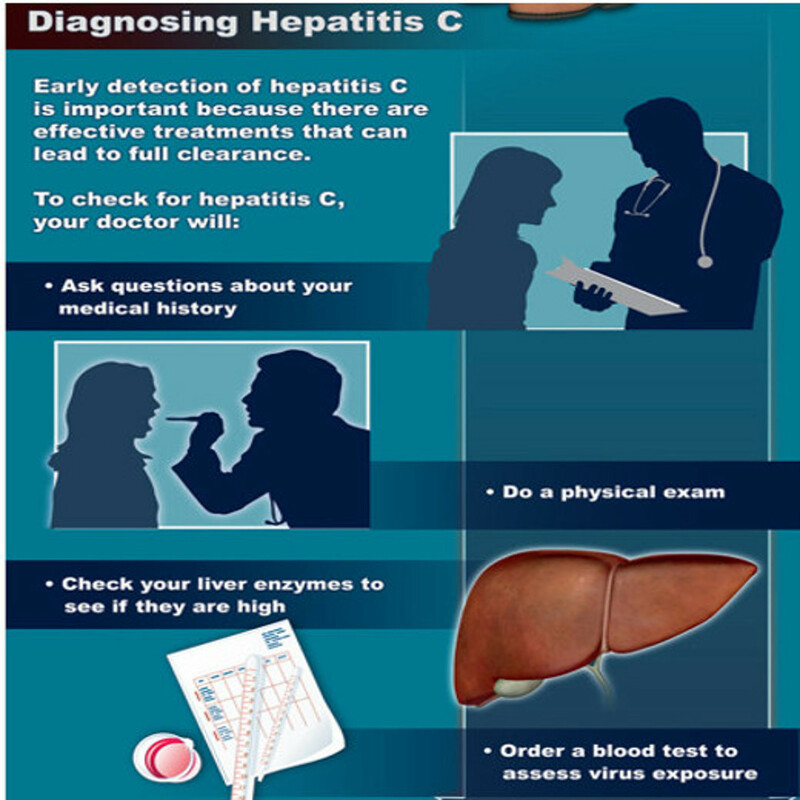 CHCANYS currently has a collaborative demonstration pilot project in partnership with the NYS DOH AIDS Institute to increase the capacity within federally qualified health centers (FQHCs) to expand and improve HCV prevention, screening, diagnosis and linkage to treatment using a tele-consultation model. The TMC3 project will collaborate with and build upon the work being done in this ongoing demonstration project. Ponni Perumalswami, MD, MCR- (MSSM) an Assistant Professor of Medicine in the Division of Liver Diseases at MSSM, founder of the Hepatitis Outreach Network (HONE) program will serve as co-director for the HepCure Project. 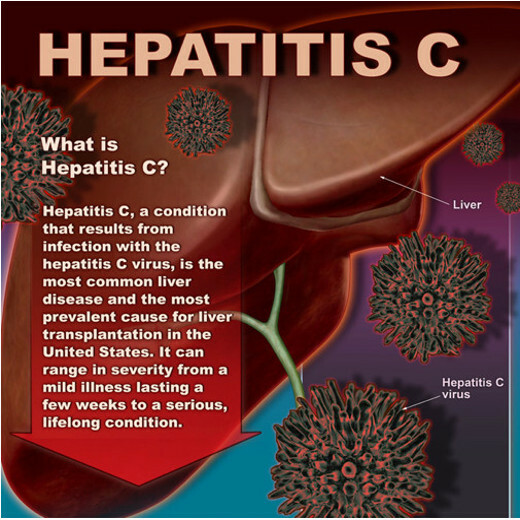 In her clinical work as a hepatologist and in her innovative outreach work in the HONE program she is actively engaged in the mission to improve access to HCV care and its effectiveness. Her focus is on viral hepatitis health services research in people in underserved communities. Jeffrey J. Weiss PhD, MS- (MSSM) an Associate Professor of Medicine and Director of HCV Research and Clinical Programs in the Division of General Internal Medicine (DGIM) at MSSM will serve as co-director for the HepCure project. He studies psychosocial barriers to HCV treatment uptake and adherence to HCV treatment and has developed an innovative web-based assessment tool to evaluate patients’ psychosocial readiness to begin HCV treatment. Ashish Atreja, MD, MPH- (MSSM) is an Assistant Professor of Medicine and Director of the Informatics for Research, Outcomes and Quality (I-ROQ) in the Division of Gastroenterology. Dr. Ashish Atreja is an informaticist and public health researcher, who has more than 10 years experience in health information technology including electronic health record, personal health records, patient reported outcomes, online education, quality dashboards and business intelligence. Mount Sinai Patients can download HepCure Education now! The primary funding for HepCure comes from the New York State Health Department, with additional support from Merck & Co., Boehringer Ingelheim, and Gilead Sciences. •	Physical and mailing addresses. •	Other personally identifiable information (including personally identifiable information and possibly certain of your health information contained within files, video or text messages) about you and third parties that you may choose to transmit or otherwise make available through the Platform to Mount Sinai and/or its third-party service providers and business partners, including by completing profile forms, completing applications, questionnaires or similar documents, communicating with customer service personnel, and otherwise interacting with Mount Sinai and its third-party service providers and business partners. •	To respond to your inquiries and fulfill your requests, such as to send event notifications to you, complete your commercial transactions and otherwise operate the Platform. •	To send administrative information to you, including information regarding the Platform and changes to our terms, conditions and policies. •	To allow you to send and receive invitations and messages (including files, video and text messages) to and from other individuals, through or in connection with the Platform, and to send and receive such invitations and messages on your behalf. •	To help us improve your experience, including by learning more about your preferences to help personalize your experience with us. •	For our business purposes, such as quality assessment, data analysis, audits, developing new products and services, improving the Platform, identifying usage trends and determining the effectiveness of our promotional campaigns. •	To protect the security or integrity of our businesses and online properties, including the Platform. •	As we believe to be necessary or appropriate: (a) under applicable law, including laws outside your country of residence; (b) to comply with legal process; (c) to respond to requests from public or government authorities, including public or government authorities outside your country of residence; (d) to enforce our terms and conditions; (e) to protect our operations or those of any of our affiliates; (f) to protect our rights, privacy, safety or property, or that of our affiliates, service providers, members, you or others, including through credit-fraud protection and risk reduction; (g) at our discretion under emergency circumstances, to notify emergency services or your family members, personal representative or other individuals involved in your care of your location and condition; or (h) to allow us to pursue available remedies or limit the damages that we may sustain. •	To identify you to anyone to whom you send invitations or messages (including files, video and text messages) through or in connection with the Platform, including invitations and messages that we may send on your behalf. •	By you, through messages (including files, video and text messages), chats, message boards, forums, public profile pages, user directories and blogs and other functionality with which you are able to share or post information and materials. We are not responsible for such recording, access, use, alteration, manipulation or disclosure. We urge you to be very careful when deciding to disclose your Personal Information, or any other information, in connection with the Platform. •	To a third party in the event of any reorganization, merger, sale, joint venture, assignment, transfer or other disposition of all or any portion of our business, assets or stock (including in connection with any bankruptcy or similar proceeding). •	Technical information about your device and Internet connection. •	Statistics concerning messages (including files, video and text messages) sent or received through the Platform, such as the length of such messages, the IP Addresses involved and other technical parameters. •	Information collected through cookies, pixel tags and other technologies. •	Through server log files: Your “IP Address” is a number that is automatically assigned to the device that you are using by your Internet Service Provider (ISP). An IP Address is identified and logged automatically in our server log files whenever a user uses the Platform, along with the time of the use and the pages or areas visited within the Platform. Collecting IP Addresses is standard practice on the Internet and is done automatically by many websites and applications. We and our third-party service providers use IP Addresses for purposes such as helping to calculate usage levels of the Platform, diagnose server problems and administer the Platform. •	Through your device: Certain information is collected automatically through your device, such as your operating system name and version, device manufacturer, device identity and model, language, and the name and version of the software application you are using. •	Device location information: We may collect the physical location of your device by, for example, using satellite, cell phone tower, your IP Address or WiFi signals. We may use your device’s physical location to provide you with personalized location-based services and content. We may also share your device’s physical location, combined with information about what advertisements you viewed and other information we collect, with our marketing partners to enable them to provide you with more personalized content and to study the effectiveness of advertising campaigns. In some instances, you may be permitted to allow or deny such uses and/or sharing of your device’s location, but if you choose to deny such uses and/or sharing, we and/or our marketing partners may not be able to provide you with the applicable personalized services and content. •	Using pixel tags and other similar technologies: Pixel tags (also known as web beacons and clear GIFs) and other similar technologies may be used in connection with some pages and areas of the Platform and HTML-formatted e-mail messages to, among other things, track the actions of users of the Platform and e-mail recipients, measure the success of our marketing campaigns and compile statistics about usage and response rates of the Platform. •	From you: We may collect demographic information such as, for example, your age, occupation and family status, as well as other information when you voluntarily provide such information to us. We may also collect such information about you from third parties. Unless combined with Personal Information, this information does not personally identify you or any other user of the Platform. •	By aggregating information: Aggregated Personal Information does not personally identify you or any other user of the Platform. For example, we may aggregate Personal Information to calculate the percentage of our users who have attended a particular event. The Platform is not directed to individuals under the age of thirteen (13), nor are such individuals permitted to use the Platform; accordingly, we request that such individuals do not provide Personal Information in connection with the Platform. If you are the parent or guardian of such an individual who has disclosed Personal Information to us in connection with the Platform, please contact us in accordance with the “CONTACTING US” section below, and we will exercise commercially reasonable efforts to remove such information from our databases and storage systems; we are not liable, however, for any consequences of such information, including any delay or failure to remove such information. This Agreement is between you and The Mount Sinai Hospital and the Icahn School of Medicine at Mount Sinai (together, “Mount Sinai,” “us” or “we”) concerning your use of (including any access to) HepCure currently located at http://www.hepcure.org (together with any materials and services available therein, and successor site(s) thereto, the “Site”), and through the HepCure application (together with any materials and services available in connection therewith, and successor application(s) thereto, the “App”). The Site and the App are referred to collectively herein as the “Platform.” This Agreement hereby incorporates by this reference any additional terms and conditions posted by Mount Sinai through the Platform, or otherwise made available to you by Mount Sinai. Your use of the Platform is governed by this Agreement regardless of how you access the Platform, including through the Internet, through Wireless Access Protocol (commonly referred to as “WAP”), through a mobile network or otherwise. 1. Changes. We may change this Agreement by notifying you of such changes by any reasonable means, including by posting a revised Agreement through the Site or on the App. Any such changes will not apply to any dispute between you and us arising prior to the date on which we posted the revised Agreement incorporating such changes, or otherwise notified you of such changes. 3. Jurisdictional Issues. The Platform is controlled or operated (or both) from the United States, and is not intended to subject Mount Sinai to any non-U.S. jurisdiction or law. The Platform may not be appropriate or available for use in some non-U.S. jurisdictions. Any use of the Platform is at your own risk, and you must comply with all applicable laws, rules and regulations in doing so. We may limit the Platform’s availability at any time, in whole or in part, to any person, geographic area or jurisdiction that we choose. •	Post, transmit or otherwise make available through or in connection with the Platform any materials that are or may be: (a) threatening, harassing, degrading, hateful or intimidating, or otherwise fail to respect the rights and dignity of others; (b) defamatory, libelous, fraudulent or otherwise tortious; (c) obscene, indecent, pornographic or otherwise objectionable; or (d) protected by copyright, trademark, trade secret, right of publicity or privacy or any other proprietary right, without the express prior written consent of the applicable owner. •	Post, transmit or otherwise make available through or in connection with the Platform any virus, worm, Trojan horse, Easter egg, time bomb, spyware or other computer code, file or program that is or is potentially harmful or invasive or intended to damage or hijack the operation of, or to monitor the use of, any hardware, software or equipment. •	Use the Platform for any purpose that is fraudulent or otherwise tortious or unlawful. •	Harvest or collect information about users of the Platform. •	Interfere with or disrupt the operation of the Platform or the servers or networks used to make the Platform available, including by hacking or defacing any portion of the Platform; or violate any requirement, procedure or policy of such servers or networks. •	Restrict or inhibit any other person from using the Platform. •	Reproduce, modify, adapt, translate, create derivative works of, sell, rent, lease, loan, timeshare, distribute or otherwise exploit any portion of (or any use of) the Platform except as expressly authorized herein, without Mount Sinai’s express prior written consent. •	Reverse engineer, decompile or disassemble any portion of the Platform, except where such restriction is expressly prohibited by applicable law. •	Remove any copyright, trademark or other proprietary rights notice from the Platform. •	Frame or mirror any portion of the Platform, or otherwise incorporate any portion of the Platform into any product or service, without Mount Sinai’s express prior written consent. •	Systematically download and store Platform content. •	Use any robot, spider, site search/retrieval application or other manual or automatic device to retrieve, index, “scrape,” “data mine” or otherwise gather Platform content, or reproduce or circumvent the navigational structure or presentation of the Platform, without Mount Sinai’s express prior written consent. Notwithstanding the foregoing, and subject to compliance with any instructions posted in the robots.txt file located in the Site’s root directory, Mount Sinai grants to the operators of public search engines permission to use spiders to copy materials from the Site for the sole purpose of (and solely to the extent necessary for) creating publicly available, searchable indices of such materials, but not caches or archives of such materials. Mount Sinai reserves the right to revoke such permission either generally or in specific cases, at any time and without notice. 5. Products. The Platform may make available listings, descriptions and images of goods or services (collectively, “Products”), as well as references and links to Products. Such Products may be made available by Mount Sinai or by third parties. The availability through the Platform of any listing, description or image of a Product does not imply our endorsement of such Product or affiliation with the provider of such Product. We make no representations as to the completeness, accuracy or timeliness of such listings, descriptions or images (including any features, specifications and prices contained therein). Such information and the availability of any Product (including the validity of any coupon or discount) is subject to change at any time without notice. Certain weights, measures and similar descriptions are approximate and are for convenience only. It is your responsibility to ascertain and obey all applicable local, state, federal and foreign laws (including minimum age requirements) regarding the possession, use and sale of any Product. 6. Registration; User Names and Passwords. You may need to register to use all or part of the Platform. We may reject, or require that you change, any user name, password or other information that you provide to us in registering. Your user name and password are for your personal use only and should be kept confidential; you, and not Mount Sinai, are responsible for any use or misuse of your user name or password, and you must promptly notify us of any confidentiality breach or unauthorized use of your user name or password, or your Platform account. 7. Profiles and Forums. Platform visitors may make available certain materials (each, a “Submission”) through or in connection with the Platform, including on profile pages (each, a “Profile”) or on the Platform’s interactive services, such as message boards and other forums, and chatting, commenting and other messaging functionality (each, a "Forum"). Mount Sinai has no control over and is not responsible for any use or misuse (including any distribution) by any third party of Submissions. IF YOU CHOOSE TO MAKE ANY OF YOUR PERSONALLY IDENTIFIABLE OR OTHER INFORMATION PUBLICLY AVAILABLE THROUGH THE PLATFORM, YOU DO SO AT YOUR OWN RISK. 8. License. For purposes of clarity, you retain ownership of your Submissions. For each Submission, you hereby grant to us a worldwide, royalty-free, fully paid-up, non-exclusive, perpetual, irrevocable, transferable and sublicensable license, without additional consideration to you or any third party, to reproduce, distribute, display, create derivative works of, adapt, modify and otherwise use such Submission, in any format or media now known or hereafter developed, in connection with the Platform and for research purposes. The foregoing license will not extend to your private messages with other Platform users (other than with respect to messages to Mount Sinai containing Feedback, as explained below). 9. Monitoring. We may (but have no obligation to) monitor, evaluate, alter or remove Submissions before or after they appear on the Platform. We may disclose any Submissions and the circumstances surrounding their transmission to anyone for any reason or purpose. 10. Mount Sinai's Proprietary Rights. We and our suppliers own the Platform, which is protected by proprietary rights and laws. Subject to your compliance with this Agreement, and solely for so long as you are permitted by Mount Sinai to use the Site, you may view one (1) copy of any portion of the Site to which we provide you access hereunder, on any single device, solely for your personal, non-commercial use. 11. Third Party Materials; Links. Certain Platform functionality may make available access to materials made available by third parties, including Submissions (“Third Party Materials”), or allow for the routing or transmission of such Third Party Materials, including via links. By using such functionality, you are directing us to access, route and transmit to you the applicable Third Party Materials. 12. DISCLAIMER OF WARRANTIES. THE PLATFORM AND ANY PRODUCTS AND THIRD PARTY MATERIALS ARE MADE AVAILABLE TO YOU “AS IS” WITHOUT ANY WARRANTIES OF ANY KIND, WHETHER EXPRESS, IMPLIED OR STATUTORY. MOUNT SINAI DISCLAIMS ALL WARRANTIES WITH RESPECT TO THE PLATFORM AND ANY PRODUCTS AND THIRD PARTY MATERIALS TO THE FULLEST EXTENT PERMISSIBLE UNDER APPLICABLE LAW, INCLUDING THE WARRANTIES OF MERCHANTABILITY, FITNESS FOR A PARTICULAR PURPOSE, NON-INFRINGEMENT AND TITLE. ALL DISCLAIMERS OF ANY KIND (INCLUDING IN THIS SECTION AND ELSEWHERE IN THIS AGREEMENT) ARE MADE ON BEHALF OF MOUNT SINAI AND ITS AFFILIATES AND ITS AND THEIR RESPECTIVE TRUSTEES, OFFICERS, EMPLOYEES, CONTRACTORS, VOLUNTEERS, SPONSORS, AGENTS, REPRESENTATIVES, LICENSORS, AND SUPPLIERS (COLLECTIVELY, THE “AFFILIATED ENTITIES”). IMPORTANT NOTE REGARDING HEALTH-RELATED INFORMATION: YOUR USE OF THE PLATFORM AND ANY INFORMATION PROVIDED ON OR IN CONNECTION WITH THE PLATFORM IS AT YOUR OWN RISK. THE PLATFORM MAY PROVIDE INFORMATION REGARDING HEALTH-RELATED ISSUES. SUCH INFORMATION (A) IS NOT INTENDED AS A SUBSTITUTE FOR PROFESSIONAL MEDICAL ADVICE, DIAGNOSIS OR TREATMENT, (B) SHOULD NOT BE CONSTRUED AS THE PROVISION OF ADVICE OR RECOMMENDATIONS, AND (C) SHOULD NOT BE RELIED UPON AS THE BASIS FOR ANY DECISION OR ACTION, INCLUDING WITHOUT LIMITATION THE DIAGNOSIS OR TREATMENT OF ANY HEALTH PROBLEM. WE ARE NOT RESPONSIBLE FOR THE ACCURACY OR RELIABILITY OF ANY SUCH INFORMATION. SUCH INFORMATION IS NOT EXHAUSTIVE AND SHOULD NOT BE CONSIDERED COMPLETE OR UP-TO-DATE. IT IS YOUR RESPONSIBILITY TO EVALUATE THE ACCURACY, COMPLETENESS OR USEFULNESS OF ANY INFORMATION AVAILABLE THROUGH THE PLATFORM. THE RELATIONSHIP BETWEEN YOU AND US IS NOT A PHYSICIAN-PATIENT OR SIMILAR RELATIONSHIP; ALWAYS SEEK THE ADVICE OF YOUR PHYSICIAN OR OTHER QUALIFIED HEALTH PROVIDER WITH ANY QUESTIONS YOU MAY HAVE REGARDING A MEDICAL CONDITION, AND NEVER DISREGARD PROFESSIONAL MEDICAL ADVICE OR DELAY IN SEEKING IT BECAUSE OF SOMETHING YOU HAVE READ ON THE PLATFORM. CALL 911 OR GO TO YOUR NEAREST EMERGENCY ROOM IN THE EVENT OF AN EMERGENCY SITUATION. HEALTH CARE PROFESSIONALS SHOULD BE AWARE THAT THE PLATFORM, AND COMMUNICATIONS THAT ARE FACILITATED BY THE PLATFORM, DO NOT TAKE THE PLACE OF PATIENT COMMUNICATIONS AND ARE NOT INTENDED OR DESIGNED TO BE PART OF A PATIENT’S MEDICAL RECORDS. 13. LIMITATION OF LIABILITY. MOUNT SINAI WILL NOT BE LIABLE FOR ANY INDIRECT, INCIDENTAL, CONSEQUENTIAL, SPECIAL, EXEMPLARY OR PUNITIVE DAMAGES OF ANY KIND, UNDER ANY CONTRACT, TORT (INCLUDING NEGLIGENCE), STRICT LIABILITY OR OTHER THEORY, INCLUDING DAMAGES FOR LOSS OF PROFITS, USE OR DATA, LOSS OF OTHER INTANGIBLES, LOSS OF SECURITY OF SUBMISSIONS (INCLUDING UNAUTHORIZED INTERCEPTION BY THIRD PARTIES OF ANY SUBMISSIONS), EVEN IF ADVISED IN ADVANCE OF THE POSSIBILITY OF SUCH DAMAGES OR LOSSES. WITHOUT LIMITING THE FOREGOING, MOUNT SINAI WILL NOT BE LIABLE FOR DAMAGES OF ANY KIND RESULTING FROM YOUR USE OF OR INABILITY TO USE THE PLATFORM OR FROM ANY PRODUCTS OR THIRD PARTY MATERIALS, INCLUDING WITH RESPECT TO ANY DECISION OR ACTION TAKEN, OR NOT TAKEN, IN RELIANCE UPON THE INFORMATION CONTAINED OR PROVIDED THROUGH THE PLATFORM AND USE OR DISCLOSURE OF YOUR PERSONAL OR MEDICAL INFORMATION THROUGH YOUR USE OF THE PLATFORM. YOUR SOLE AND EXCLUSIVE REMEDY FOR DISSATISFACTION WITH THE PLATFORM OR ANY PRODUCTS OR THIRD PARTY MATERIALS IS TO STOP USING THE PLATFORM. THE MAXIMUM AGGREGATE LIABILITY OF MOUNT SINAI FOR ALL DAMAGES, LOSSES AND CAUSES OF ACTION, WHETHER IN CONTRACT, TORT (INCLUDING NEGLIGENCE) OR OTHERWISE, SHALL BE THE GREATER OF (A) THE TOTAL AMOUNT, IF ANY, PAID BY YOU TO MOUNT SINAI TO USE THE PLATFORM AND (B) TEN DOLLARS ($10.00). ALL LIMITATIONS OF LIABILITY OF ANY KIND (INCLUDING IN THIS SECTION AND ELSEWHERE IN THIS AGREEMENT) ARE MADE ON BEHALF OF BOTH MOUNT SINAI AND THE AFFILIATED ENTITIES. 14. Indemnity. Except to the extent prohibited under applicable law, you agree to defend, indemnify and hold harmless Mount Sinai and the Affiliated Entities from and against all claims, losses, costs and expenses (including attorneys’ fees) arising out of (a) your use of, or activities in connection with, the Platform (including all Submissions); and (b) any violation or alleged violation of this Agreement by you. 15. Termination. This Agreement is effective until terminated. Mount Sinai may terminate or suspend your use of the Platform at any time and without prior notice, including if Mount Sinai believes that you have violated or acted inconsistently with the letter or spirit of this Agreement. Upon any such termination or suspension, your right to use the Platform will immediately cease, and Mount Sinai may, without liability to you or any third party, immediately deactivate or delete your user name, password and account, and all associated materials, without any obligation to provide any further access to such materials. Sections 2–5, 7–9 and 10–20 shall survive any expiration or termination of this Agreement. 16. Governing Law; Arbitration. The terms of this Agreement are governed by the laws of the State of New York, U.S.A., without regard to its principles of conflicts of law, and regardless of your location. EXCEPT FOR DISPUTES THAT QUALIFY FOR SMALL CLAIMS COURT, ALL DISPUTES ARISING OUT OF OR RELATED TO THIS AGREEMENT OR ANY ASPECT OF THE RELATIONSHIP BETWEEN YOU AND MOUNT SINAI, WHETHER BASED IN CONTRACT, TORT, STATUTE, FRAUD, MISREPRESENTATION OR ANY OTHER LEGAL THEORY, WILL BE RESOLVED THROUGH FINAL AND BINDING ARBITRATION BEFORE A NEUTRAL ARBITRATOR INSTEAD OF IN A COURT BY A JUDGE OR JURY AND YOU AGREE THAT MOUNT SINAI AND YOU ARE EACH WAIVING THE RIGHT TO TRIAL BY A JURY. YOU AGREE THAT ANY ARBITRATION UNDER THIS AGREEMENT WILL TAKE PLACE ON AN INDIVIDUAL BASIS; CLASS ARBITRATIONS AND CLASS ACTIONS ARE NOT PERMITTED AND YOU ARE AGREEING TO GIVE UP THE ABILITY TO PARTICIPATE IN A CLASS ACTION. The arbitration will be administered by the American Arbitration Association under its Commercial Arbitration Rules and Supplementary Procedures for Consumer-Related Disputes (“Supplementary Procedures”), as amended by this Agreement. The Supplementary Procedures are available online at http://www.adr.org/aaa/ShowPDF?doc=ADRSTG_015820. The arbitrator will conduct hearings, if any, by teleconference or videoconference, rather than by personal appearances, unless the arbitrator determines upon request by you or by us that an in-person hearing is appropriate. Any in-person appearances will be held in New York County, NY, U.S.A. The arbitrator’s decision will follow the terms of this Agreement and will be final and binding. The arbitrator will have authority to award temporary, interim or permanent injunctive relief or relief providing for specific performance of this Agreement, but only to the extent necessary to provide relief warranted by the individual claim before the arbitrator. The award rendered by the arbitrator may be confirmed and enforced in any court having jurisdiction thereof. Notwithstanding any of the foregoing, nothing in this Agreement will preclude you from bringing issues to the attention of federal, state or local agencies and, if the law allows, they can seek relief against us for you. 17. Filtering. We hereby notify you that parental control protections (such as computer hardware, software or filtering services) are commercially available that may assist you in limiting access to material that is harmful to minors. Information identifying current providers of such protections is available from GetNetWise (http://kids.getnetwise.org/) and OnGuard Online (http://onguardonline.gov/). 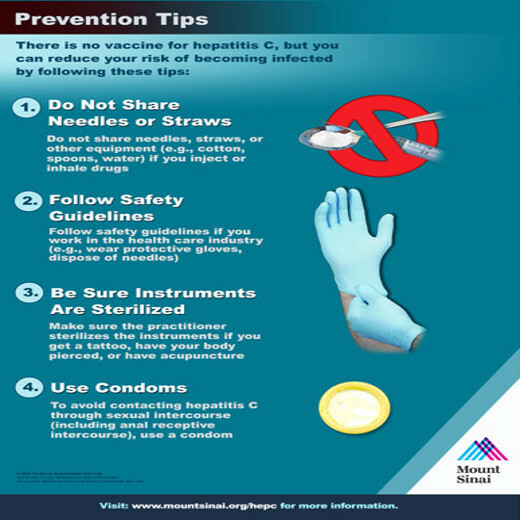 Please note that Mount Sinai does not endorse any of the products or services listed on such sites. 18. Information or Complaints. If you have a question or complaint regarding the Platform, please send an e-mail to hepcure@mountsinai.org. You may also contact us by writing to Icahn School of Medicine at Mount Sinai, One Gustave L. Levy Place, Box 1123, New York, NY 10029, or by calling us at 212-659-8879. Please note that e-mail communications will not necessarily be secure; accordingly you should not include credit card information or other sensitive information in your e-mail correspondence with us. California residents may reach the Complaint Assistance Unit of the Division of Consumer Services of the California Department of Consumer Affairs by mail at 1625 North Market Blvd., Sacramento, CA 95834, or by telephone at (916) 445-1254 or (800) 952-5210. 19. Miscellaneous. This Agreement does not, and shall not be construed to, create any partnership, joint venture, employer-employee, agency or franchisor-franchisee relationship between you and Mount Sinai. If any provision of this Agreement is found to be unlawful, void or for any reason unenforceable, that provision will be deemed severable from this Agreement and will not affect the validity and enforceability of any remaining provision. You may not assign, transfer or sublicense any or all of your rights or obligations under this Agreement without our express prior written consent. We may assign, transfer or sublicense any or all of our rights or obligations under this Agreement without restriction. No waiver by either party of any breach or default hereunder will be deemed to be a waiver of any preceding or subsequent breach or default. Any heading, caption or section title contained herein is for convenience only, and in no way defines or explains any section or provision. All terms defined in the singular shall have the same meanings when used in the plural, where appropriate and unless otherwise specified. Any use of the term “including” or variations thereof in this Agreement shall be construed as if followed by the phrase “without limitation.” This Agreement, including any terms and conditions incorporated herein, is the entire agreement between you and Mount Sinai relating to the subject matter hereof, and supersedes any and all prior or contemporaneous written or oral agreements or understandings between you and Mount Sinai relating to such subject matter. Notices to you (including notices of changes to this Agreement) may be made via posting to the Site or App or by e-mail (including in each case via links), or by regular mail. Without limitation, a printed version of this Agreement and of any notice given in electronic form shall be admissible in judicial or administrative proceedings based upon or relating to this Agreement to the same extent and subject to the same conditions as other business documents and records originally generated and maintained in printed form. Mount Sinai will not be responsible for any failure to fulfill any obligation due to any cause beyond its control. 20. Apple-Specific Terms. In addition to your agreement with the foregoing terms and conditions, and notwithstanding anything to the contrary herein, the following provisions apply with respect to your use of any version of the App compatible with the iOS operating system of Apple Inc. (“Apple”). Apple is not a party to this Agreement and does not own and is not responsible for the App. Apple is not providing any warranty for the App except, if applicable, to refund the purchase price for it. Apple is not responsible for maintenance or other support services for the App and shall not be responsible for any other claims, losses, liabilities, damages, costs or expenses with respect to the App, including any third-party product liability claims, claims that the App fails to conform to any applicable legal or regulatory requirement, claims arising under consumer protection or similar legislation, and claims with respect to intellectual property infringement. Any inquiries or complaints relating to the use of the App, including those pertaining to intellectual property rights, must be directed to Mount Sinai in accordance with the “Information or Complaints” section above. The license you have been granted herein is limited to a non-transferable license to use the App on an Apple-branded product that runs Apple’s iOS operating system and is owned or controlled by you, or as otherwise permitted by the Usage Rules set forth in Apple’s App Store Terms of Service. In addition, you must comply with the terms of any third-party agreement applicable to you when using the App, such as your wireless data service agreement. Apple and Apple’s subsidiaries are third-party beneficiaries of this Agreement and, upon your acceptance of the terms and conditions of this Agreement, will have the right (and will be deemed to have accepted the right) to enforce this Agreement against you as a third-party beneficiary thereof; notwithstanding the foregoing, Mount Sinai’s right to enter into, rescind or terminate any variation, waiver or settlement under this Agreement is not subject to the consent of any third party. Platform © 2014 Icahn School of Medicine at Mount Sinai unless otherwise noted. All rights reserved.